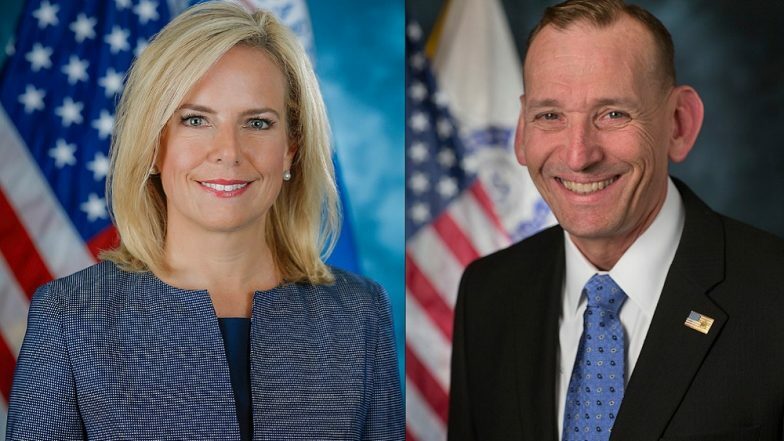 Toronto, April 9: The Trump Administration is seeing a shakeup in the security division as two big names have announced their exit in the last 48 hours -- US Homeland Security Secretary Kirstjen Nielsen and US Secret Service Director Randolph Alles. Kirstjen Nielsen served as the HS Chief for little more than a year, but a considerable long time in an administration that has become known for frequent purges. She has been a staunch defender of many of US President Donald Trump’s immigration policies – from family separation ‘Zero tolerance policy’ at the southern border to the US President's declaration of a national emergency to secure funding for his US-Mexico border wall. But she has been criticised by Trump multiple times for “not doing enough” to stem the flow of asylum seekers at the southern border. The recent surge in asylum seekers did not help her case as Trump announced aid cuts to Central American countries and threatened to close the border with Mexico to dissuade asylum seekers. Trump announced Nielsen’s departure on Sunday on his Twitter handle: "Secretary of Homeland Security Kirstjen Nielsen will be leaving her position, and I would like to thank her for her service". Barely more than 24 hours had passed since news came of Nielsen’s departure that the Trump Administration announced US Secret Service Director Randolph Alles would be leaving the administration as well. A retired Marine Corps general, Alles was the 25th director of the US Secret Service agency that is a part of the Department of Homeland Security. "Mr. Alles will be leaving shortly and President Trump has selected James M. Murray, a career member of the USSS, to take over as director beginning in May,” White House press secretary Sarah Sanders said. As of date, 47 top officials in the Trump Administration have either been forced out or resigned in the two years of Donald Trump in the White House. An unprecedented number when compared to the previous terms of his predecessors Barack Obama or George W Bush.